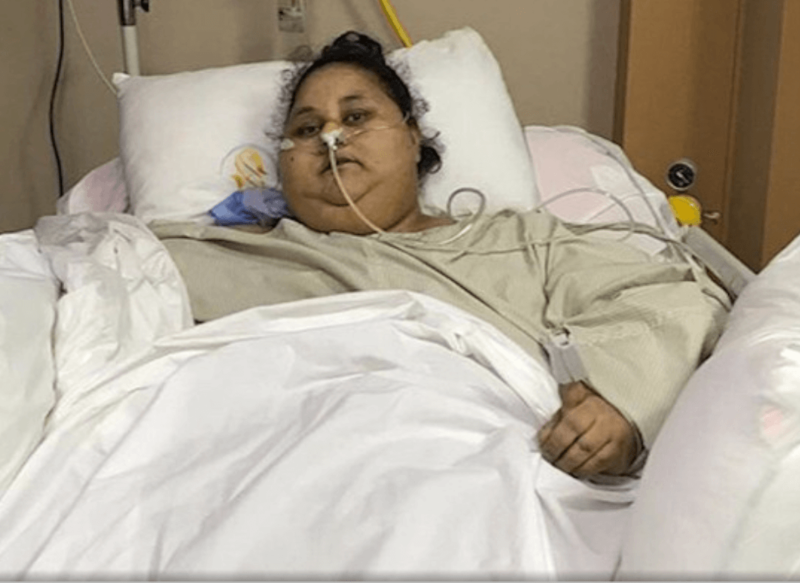 Egyptian Eman Ahmed weighed nearly 1100 pounds before undergoing weight-reduction surgery at a hospital in Mumbai. 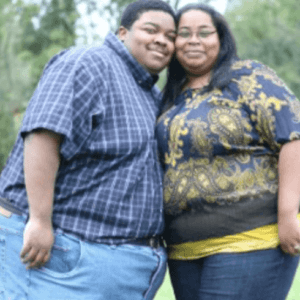 Since then, she has lost nearly 350 pounds. But doctors say that surgery and weight loss will never compensate for the underlying condition responsible for Ahmed’s extreme obesity because there is no cure for the genetic condition that caused it. Ahmed has a missense mutation in the gene that codes for the leptin receptor. The mutation makes the receptor’s shape so distorted that leptin, a gut hormone, can’t fit inside of it to do its work. Leptin makes our brains feel satisfied after we’ve eaten. In Ahmed’s case, her doctors said, she feels she is literally starving at all times, no matter how much she eats. 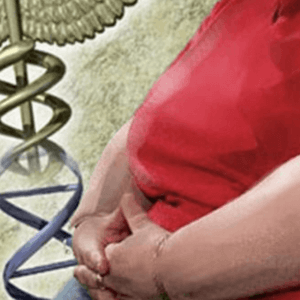 While scientists have been aware of about two dozen genetic conditions that can cause obesity, a new study published … in the journal Obesity Reviews finds there are many more. The Canadian researchers have identified and cataloged 79 rare genetic syndromes where obesity is a key symptom. A body mass index of 30 or higher is considered obese, where weight is higher than what is considered healthy for a given height. These monogeneic obesity syndromes are different than the common kind of obesity that affects more than one third of the U.S. population. Monogeneic obesity syndromes cause less than 1 percent of the cases of obesity according to the study authors. Monogeneic obesity is often accompanied by other disorders, including cognitive impairment and facial abnormalities. 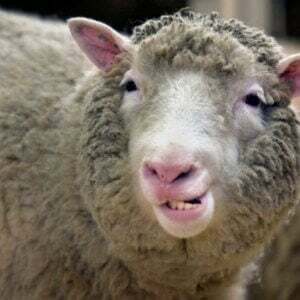 They are usually caused by just one specific gene variant. Although lifestyle factors, such as diet and physical activity, play major roles in obesity, research has shown that there’s a genetic component of obesity as well, and in the new review, the researchers focused on the types of obesity that can be caused by genes. They looked through more than 160 studies on genetic forms of obesity. Previous reviews that tallied up the types have found that there were between 20 and 30 distinct types. Some of the identified syndromes are well known and have been worked out down to specific base pair errors. Prader-Willi syndrome and Bardet-Biedl are two such conditions. But nearly half of the conditions found by the Canadian study have not yet been named. And only 30 of the 79 have mutations or chromosomal abnormalities that have been explicitly confirmed down to the base pair level. Still further rare cases of obesity, like Ahmed’s, were not included because they related to the leptin pathway or to damage to cilia, the fine hairlike structures that absorb nutrients in our guts. That means there are likely dozens of further genetic variants to look at. Is it interesting this kind of study hadn’t been done before. Lead author David Meyre at McMasters University suggested this was because obesity has only recently been classified as a disease by the World Health Organization and so has received less funding to date than other diseases. And a greater proportion of funding goes towards polygenic forms of obesity rather than these extremely rare monogenic syndromes. The genetics of polygenic obesity remains quite complicated. Many genes likely interact in each case. And those genes likely differ from person to person. Dozens of genes have been implicated, but none of them definitively cause the disorder. Genes related to common, polygenic obesity raise the risk of developing the disorder anywhere in small increments. Variants of the infamous FTO gene, for example, are responsible for only 1 percent of the natural variation in human body mass. But the two types of obesity are related. “Several genes involved in monogenic obesity syndromes also harbor common genetic variants with modest effects that predispose [people] to common, polygenic obesity. This means that there is a genetic continuum for obesity and the same biological mechanisms sometimes explain rare genetic syndromes and more common forms of polygenic obesity,” Meyre said. Dr. Liam R. Brunham, an assistant professor of medicine at University of British Columbia, said the most remarkable finding of the review may be that of the 79 obesity syndromes, the genetic basis of only one-quarter of them is known. Very likely, then, there is “a huge amount regarding the genetics of obesity that remains to be discovered, said Brunham.